yandree GmbH is pleased to announce the completion of the software program "DeeCeeSqueezer". "DeeCeeSqueezer" is a novel, innovative tool which helps companies to analyze the interaction of different data sources within a company on a higher level and scan enterprise processes for weaknesses on a regular basis and which provides suggestions for improvement. The program version that has now been launched specializes on data center infrastructure data and is primarily intended for use in data centers. "To us it seemed natural to specialize on areas such as servers, racks and networks because this is the field we have been working on over the last 10 years", says Andreas Gsell, executive director of yandree GmbH. 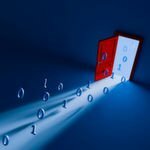 "Over the years we had to realize that the issue of data quality, especially when it comes to the documentation of data center infrastructure, is still grossly neglected. In other business areas it has long become standard to validate and consolidate data from different sources. Everyone talks about DCIM but only few pay attention to the quality of the data which are fed into DCIM systems." 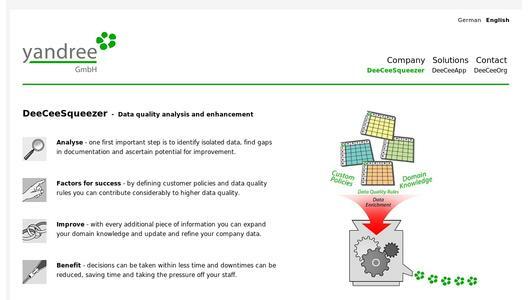 yandree's service model facilitates easy and swift access to the issue of data source analysis and the development of comprehensive standards and guidelines for a sustainable improvement of data quality. The DeeCeeSqueezer license model targets different needs and foresees different payment options (from use-dependent charges to the purchase of a full license). yandree is a Graz-based limited company (GmbH). Partner companies currently represent yandree in Austria and Germany. The yandree team previously worked for one of the market-leaders in documentation systems.